The Seven Dials Osteopathy Clinic is committed to protecting your privacy. This statement describes how we collect and use information about people who visit our website or use our services. If you have any queries about this statement please email us at info@brighton-osteopath.co.uk. We also gather general information about the use of our website, such as frequency of pages visits. We only use anonymous information and statistics which do not identify individual visitors. This information helps us improve the services and information we offer on our website. We may use service providers to help us collect and analyse this information. The types of personal information collected might include name, date of birth, email address, postal address and telephone number. We will use your personal information to provide you with the services, products or information you have requested and for administration purposes. Your information is shared with our service providers for these purposes including reception and appointment system providers. We may occasionally use your personal information for marketing purposes unless you have indicated that you do not wish to be contacted. You can change your marketing choices at any time by emailing us at info@brighton-osteopath.co.uk or unsubscribing from our marketing emails. 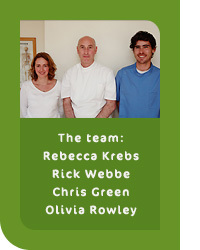 We will collect personal information about our patients when you first visit the Clinic. The information is filled in by the parent or guardian of every child and we then process the information in our internal system. The information provided and required includes name, date of birth, gender, e-mail address, postal address and telephone number. We use the information about our patients to keep all the personal information that will be used by our consultants throughout their treatment at our Clinic. We also use this information to contact our patients if there are any changes with their booking appointments or anything else that we might think is of relevance to our patients. We may occasionally use your personal information for marketing purposes unless you have indicated that you do not wish to be contacted. You can change your marketing choices at any time by emailing us at info@brighton-osteopath.co.uk or unsubscribing from our email. Information that you submit in a registration or enquiry form is encrypted and stored on a secure server. However, the transmission of information over the Internet is never 100% secure so while we try to protect your personal information, we can’t guarantee the security of any information you submit to us via our website. We also take appropriate measures to ensure that the information we receive is kept secure, accurate and up to date and kept only for so long as is necessary for the purposes for which it is used. Access to our computers is restricted to authorised staff. Will we disclose the information we collect to other organisations? We may need to disclose your information if required to do so by law or in response to a court order or request from a law enforcement agency. In exceptional circumstances, where we think someone is at serious risk of being harmed, we may contact the police or a local authority safeguarding team. Our website may include links to websites run by other organisations. The Seven Dials Osteopathy Clinic is not responsible for the privacy practices of other organisations’ websites so you should read their privacy policies carefully. We may occasionally amend this privacy statement. The latest version will be available on our website so please check from time to time. By continuing to use the website you will be deemed to have accepted any changes.